My mom once bought me green and white vintage pillow cases that had "His" and "Hers" embroidered on them. I washed them too many times and eventually they ended up falling apart, *sigh. * After seeing these cute white towels on One Kings Lane this morning it had me dreaming about vintage linens again. Both towels and pillow cases with embroidery on them. Back in the day lots of people had this sentiment on their towels, hand embroidered. 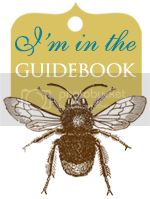 Now you can replicate it with machine embroidery. 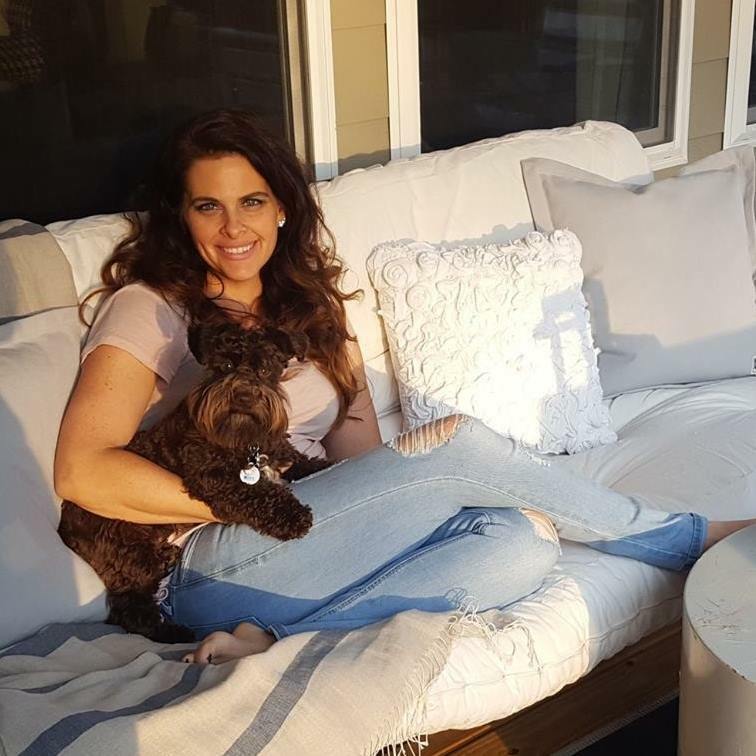 They add a touch of vintage charm to any home. 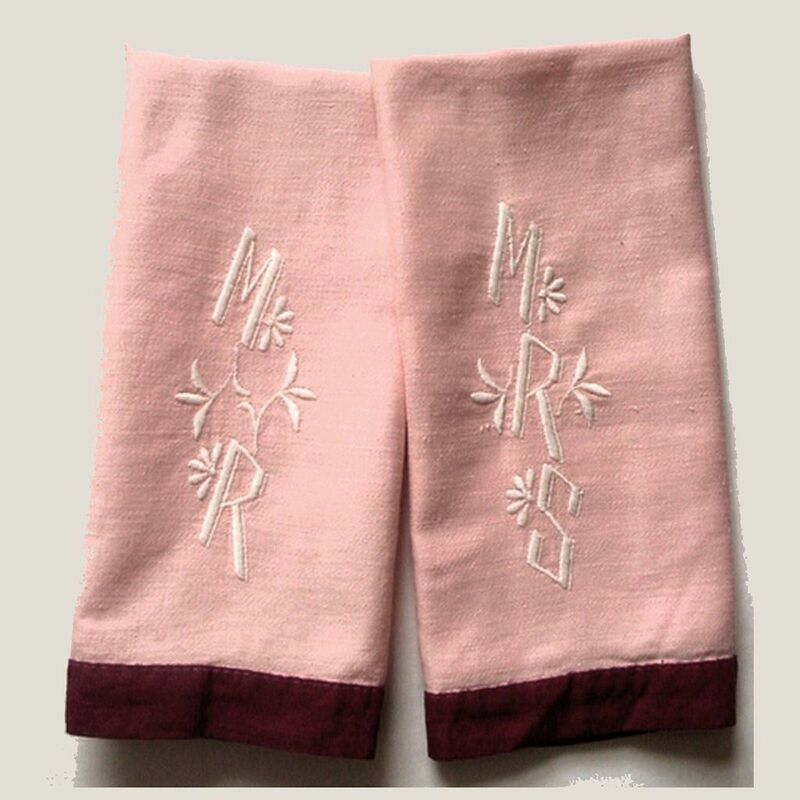 Vintage His and Hers Hand Towels Pink & Burgundy Embroidered from Ruby Lane. 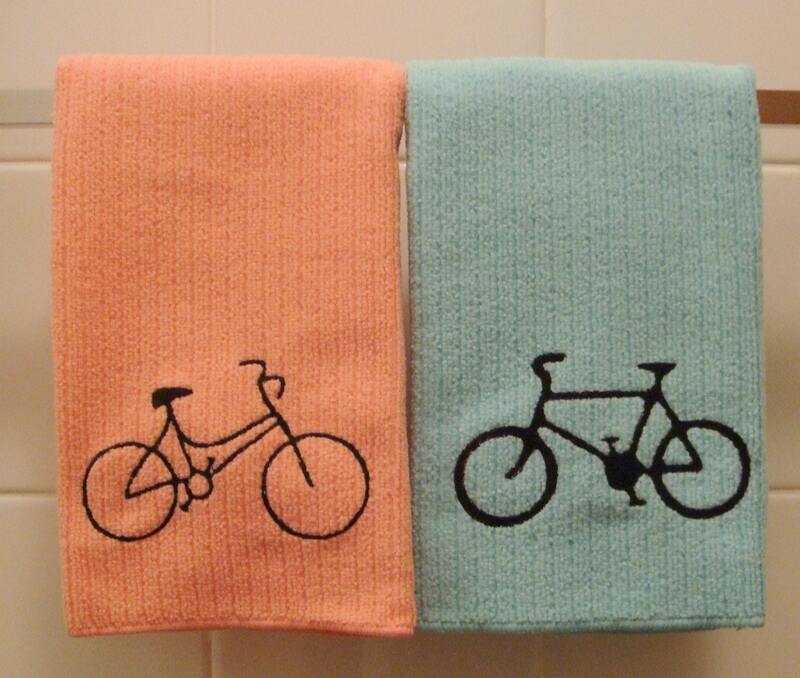 Etsy his and hers bicycle towels. 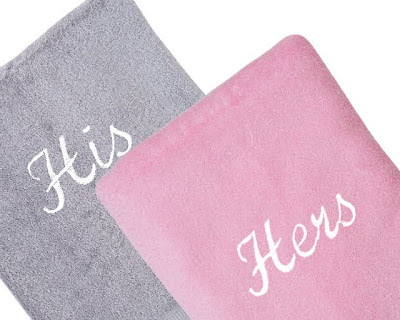 His and Hers linen hand towels by Papillon Linens. Gray and pink His and Hers towels. Ebay would also be a great place to search for embroidered hand towels. Good luck! At Gramma's House there is a setof pillow "slips" : George & Anna Mae. LOL, what shall I ever do with those?